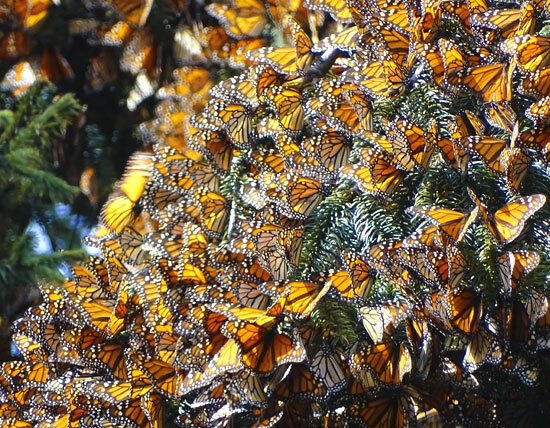 I admit, before seeing the monarch migration, I was a little skeptical. I've heard it explained so many times, by so many people, that I thought I knew what to expect: millions of butterflies, magical experience, truly a once-in-a-lifetime opportunity. Surely I was prepared for this. It turns out, however, it's impossible to expect these things, and more impossible still to articulate just how true they turned out to be. 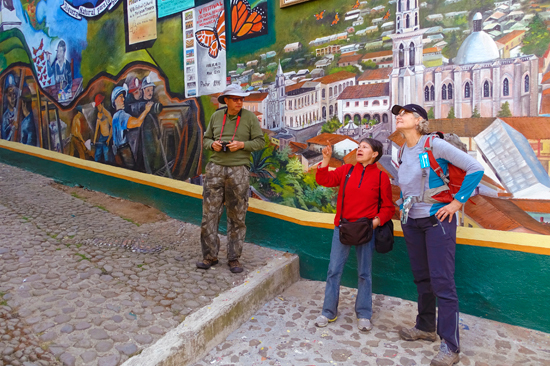 There are no words to accurately describe what it's like to stand huddled with other travelers in the morning chill, when all of a sudden, the sun warms your skin, and you hear the roaring flutter of millions of delicate wings as the monarchs burst into flight and hush the crowd into complete silence. All anyone can do in that moment is look skyward in reverence, vibrating with the knowledge that you, and the people surrounding you, are suspended in one surreal moment of nature's immense beauty that can never truly be expressed through any words, pictures, or video.